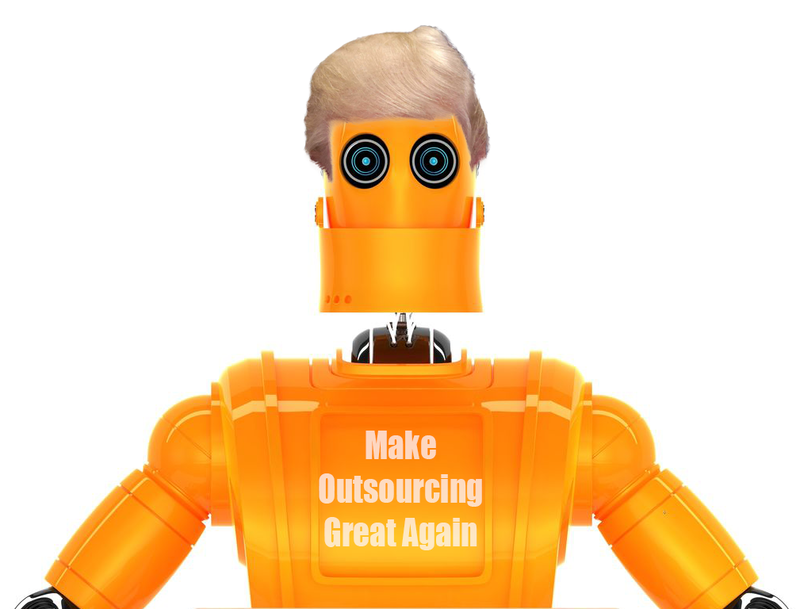 What a September that was the industry formerly known as “outsourcing”! The Bottom Line: It’s time to embrace our Scary Bright Future – we have the tools to make it happen! Love this piece, Phil! You're comments on the Indian service providers are spont on - they won't do anything until they start to feel the pinch financially. Excellent piece. My question to you is how traditonal BPOs such as Conduant (Xerox) and HP can survive in this climate. 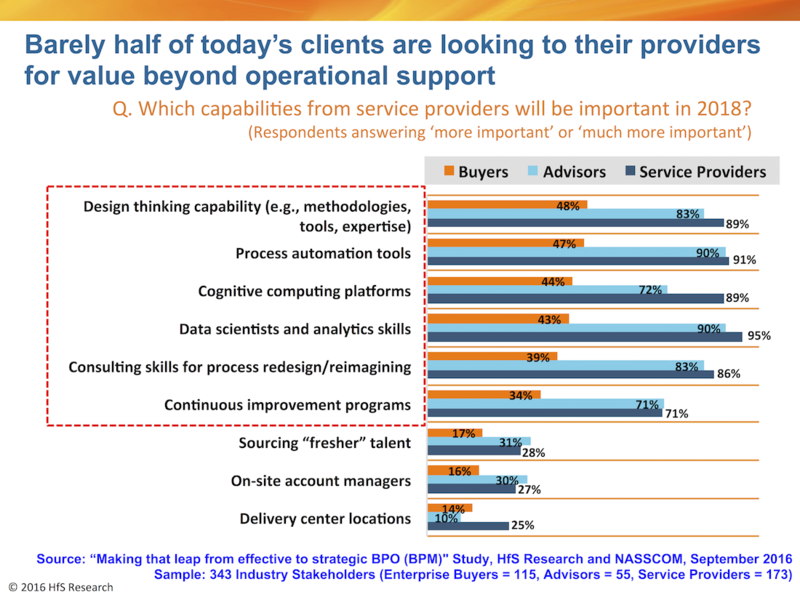 I can see how the Indian suppliers can cotinue to compete on cost, but these traditional BPOs are surely in trouble? Great piece, Phil. I am starting to work with some forward thinking Service Providers and Advisors, who "get" Cognitive Computing and don't expect to deploy it themselves. They want to work side by side to deliver the best solution for the client. Thanks for reinforcing this behaviour! Like the optimism Phil, but do you really think the current bactch of service providers can really break out of the FTE model? As always Phil Fersht spot on article ... Thanks! No doubt who (BPO, ITO provider) gets it first will be an undispute leader of tomorrow and no doubt that Forward-Thinking Account Management or Solution & Sales leaders, Adaptable Delivery Leaders with Creative Thinking capability very much Client goals & needs and Outcome focused is a must to make it happen! Perhaps the truth is that both buyers and service providers are feeling thoroughly exhausted by all the buzz words being bandied around without much clarity that they have simply decided to batten the hatches and wait it out? 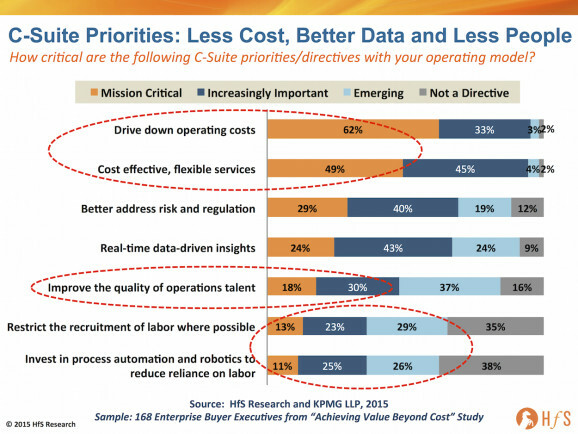 I mean, there is only so much of sizzle around "Digital Disruption", "Robotic Process Automation". "AI and Cognitive". "Machine Learning". "Deep Learning", "Cognitive Robotics".....etc that anyone can put up with without ultimately having to see, touch, feel and eat the sausage? Perhaps resolving the confusion in the jargon is an ideal first step? 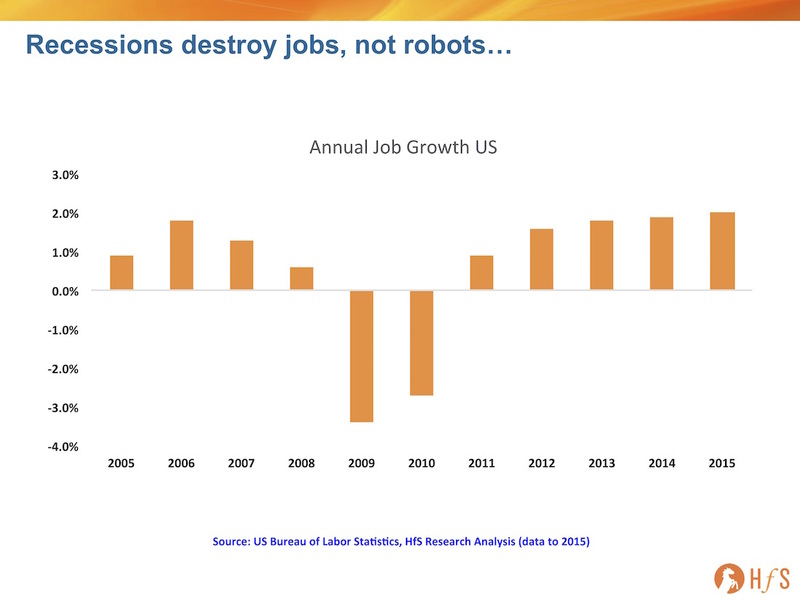 "Recessions destroy jobs, not robots"
@Andy - will some providers ever break out of FTE? Many will be forced to as more work is automated and the use of "people" is more for exceptions and escalations. For example, how do you price for using "semi-automated virtual agents" which essentially form that first later of customer service. How many live agents do you need to manage the virtual ones? Or how many F&A staff do you need to supervise automated e-invoicing processes?